Our vegan skin care products provide a bit of care to counteract the effects of the dry winter months and the sunny summer. 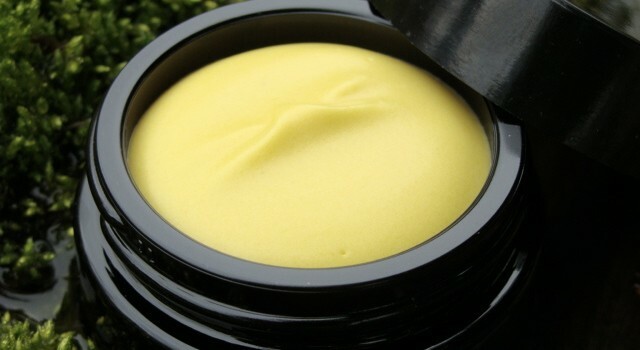 Mango Mud is a rich experience, with the cooling detoxification of clay and exfoliation of mango. Sarah’s Vegan Nutrients for Skin is a mixture of rich, creamy oils and vitamin E, providing essential nutrients. *Organic, fair trade and/or wild crafted. Sarah’s Vegan Nutrients for Skin contains no bees wax, alcohol, water, or preservatives. Some oils become solid at room temperature though when exposed to higher temperatures, like a warm car, it will turn into a liquid. Be careful when opening if exposed to higher temperatures. The product may become grainy when it cools. This should not alter the quality of the product if the temperatures are not extreme. 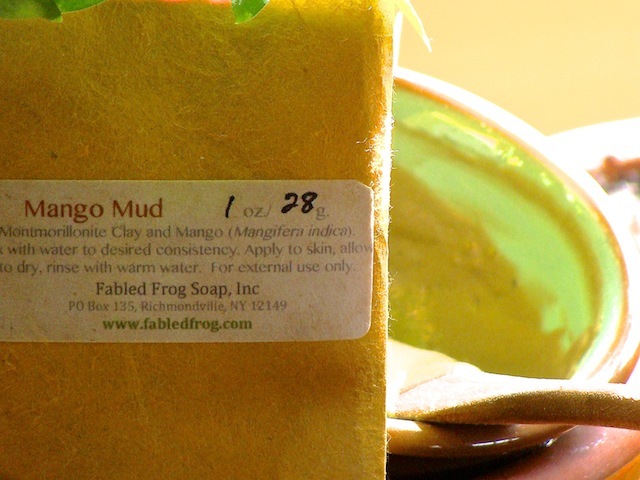 Mango Mud: Keep dry until ready to use. Refrigerate after adding liquids. We make these products in very small batches, to ensure the freshest product. The jars that we use are designed to keep light out and extend the shelf life of the oils without chemical preservatives. Hand crafting nutrient oils from natural ingredients results in variations between batches. 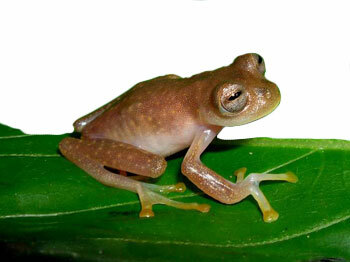 Threat: Habitat destruction and degradation due to agriculture, logging and water pollution. Range: Severely fragmented distribution in Colombia. 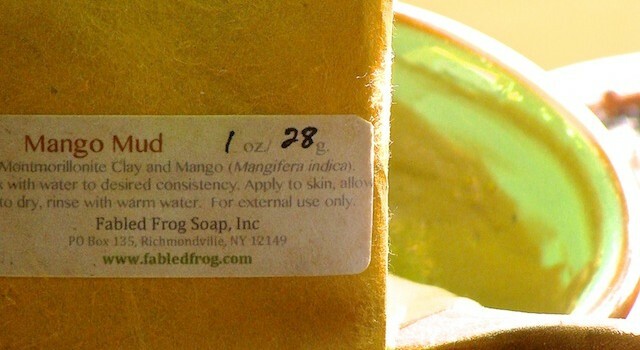 Fabled Frog Soap supports habitat preservation and restoration with contributions to Endangered Species International. A: All of the soaps we produce are tested for lather with the water from our tap, which is soft water with a pH of 7.5, and by our test panel, who have various water types. In soft water our soap produces a good lather. Hard water will not produce a good lather, because of the minerals. The minerals in hard water are generally calcium and magnesium and when combined with soap reduces the amount of bubbles.